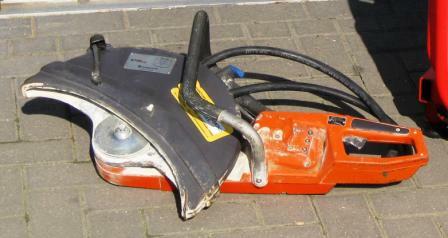 •110 volt electric chainsaw operating from a 32 amp 110 volt supply. 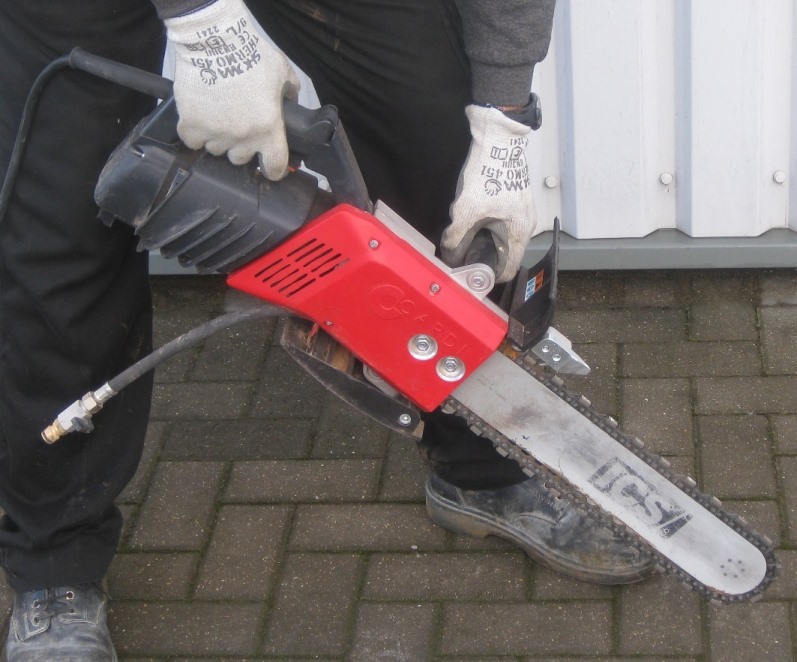 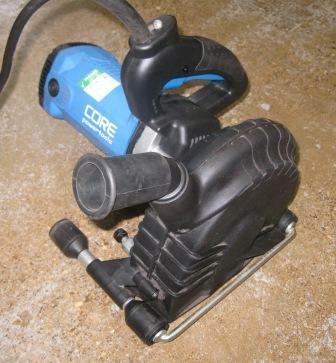 Comfortably cuts to 300mm (12") deep, can cut to 350mm (14") maximum depth. 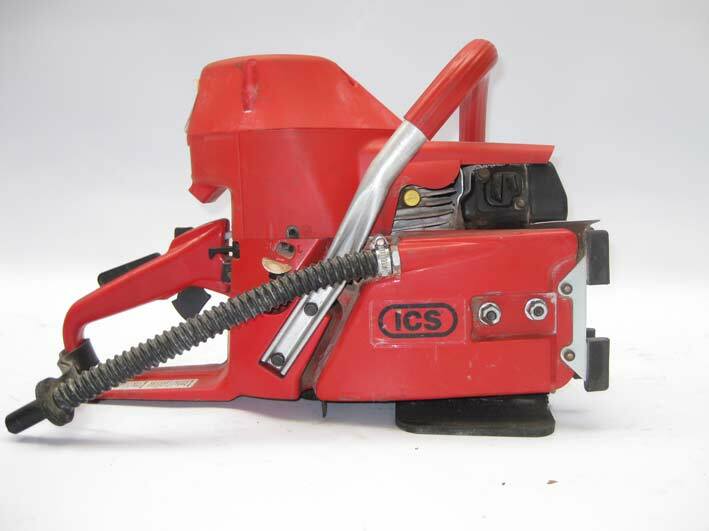 Double insulated diamond sawing machine for dry cutting with dust extraction in combination with laser welded diamond sawblades for cutting in brick/block materials or concrete.